Adapted Tales are traditional tales or folk stories that have been adapted for contemporary telling. My youngest daughter is at that age when sometimes she doesn’t like herself very much. I asked her, how do you get good self esteem? She suspected her answer of getting lots of stuff wasn’t the one I wanted because what happens when the stuff is lost, old or broken? How do you learn to love yourself? She didn’t know. Interesting, as she has lived with me since she was 31/2 and obviously has not absorbed this lesson. I feel it’s in there but needs to be spoken out aloud. Do I like me, I asked? Yes. Do I find myself amusing? Yes. Do I love me? Yes. How come? Looking at me, how is it I love me? She didn’t know. I’ll tell you the answer I told her at the end of the story. There was once two parents who longed for a child. When one came to them at long last, they thought she was perfect. She lit up when they came in the room, laughed, cried, played, was joyous, sad and occasionally cranky. Just perfect. Their family wasn’t so sure. They had noticed larger than expected shoulder blades and mentioned them to the new parents, out of concern for the child. The parents assured them that they would buy or make clothes to accommodate her. Muttering the relatives withdrew. As the baby grew into toddler, she staggered and tumbled, laughed and cried, sang and spoke her first words to her parents’ delight. The neighbours and friends noticed that the child’s pronounced shoulder blades appeared to be developing a covering of what looked like downy feathers. As good friends they felt duty bound to point this out and suggested depilatory creams for the removal of the offending feathers. The parents laughed and said they were soft to touch and exactly where their child could be stroked into sleep. The child grew and the blades grew with her. First at kindergarten, then at school, she ran and played, leapt and tumbled, sang and shouted, learnt and danced with all the other children. The downy covering slowly spread down her back and across her shoulders. Her friends often stroked the feathers that ran down her arms for their softness and comfort. The parents were approached by the teachers and the school council about covering up the feathers, demanding she wore long sleeves. The parents simply chuckled and said, in a hot country like ours, she’d be too hot. By the time the girl was twelve her wings had unfolded. She could run and leap, tumble and dance, spin with wings outstretched. Her friends would laugh and try to catch her, running with arms wide. The children’s parents complained to each other, local businesses, the local Councillors, and the Member of Parliament. They complained until a public meeting was held and worked each other to fever pitch, making a decision to demand that the parents of the girl stop this right now! Together they formed a foaming furious posse of people and marched across town to the house of the parents of the girl with wings. A spokes person was pushed forward to bang on the front door and the parents answered it. Their daughter squeezed past them to look at the towns people and wave at her friends. The spokes person gathered their fury and sputtered and yelled, what were they thinking of a daughter with wings? What were they doing? How could it be in her best interest? What did they have planned for her future? 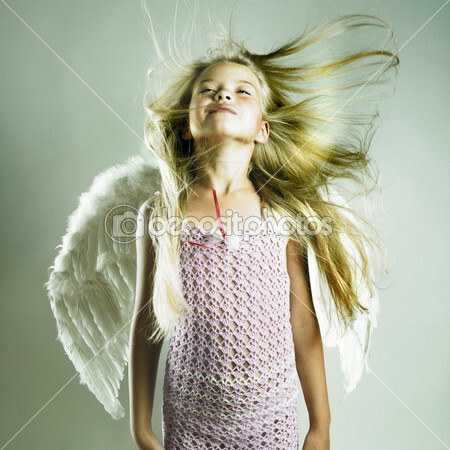 The parents looked at the townspeople and across at their daughter, who smiled and spread her glorious wings. Well, said the parents, we were thinking of teaching her how to fly. What was my answer to my daughter about how you love yourself? You decide. Then, you practice, until you can fly. Who is to say that the stories we know today as folktales were not just someone’s story long ago. We know that rhymes and stories were couched in particular ways for gossip, warning, learning and sharing. Stories travelled far. I have been thinking about this since someone asked me why I put my son’s story on a folktale discussion forum. I will keep thinking some more as it is an interesting question. That led my thoughts to consider what was a folktale and the stories of this land where I live, Australia. 1. a tale or legend originating and traditional among a people or folk, especially one forming part of the oral tradition of the common people. 2. any belief or story passed on traditionally, especially one considered to be false or based on superstition. I tell a lot of folktales. I adapt a lot of traditional tales for current day. I have permission to adapt into popular story structure tales I have been given permission by First Australians to tell. My heritage is Scottish, Irish and Australian Aboriginal. I don’t know a lot about my different heritages but feel a keen urge to tell Aboriginal stories. Dreaming stories are creation and teaching stories. They fit into current definition of folktales and they weave history, explanation and warning together. Of fascination to me is the spiral nature of these stories. Children will know the stories without the detail meant for adult ears. Detail is garnered through song, story and dance, family and community experiences and conversation depending on what stories your mob have responsibility for and how connected you are to your community. The understanding of a story is considerably more by adulthood, even though at heart it is the same tale. Some of these are cautionary tales, some are explanations. They rarely conform to beginnings, middles and ends. The stories link in with others to weave songlines, depending again on Country and what element you have responsibility for strengthening. I do not yet know any stories from my own heritage but my youngest daughter knows hers. I worry for what she will not know that she does not know, if you know what I mean. So much language, song, story, dance and culture in Australia has been lost due to a violent history from the first non-Aboriginal invasion. Determination to wipe out the “blacks” (who were considered part of the flora and fauna of Australia, I kid you not), assimilate or herd onto missions created a bloody and broken history that Kevin Rudd’s apology in 2008 barely stroked the back of, let alone gave great comfort and certainly not recompense. As an adopted child of a non-Aboriginal family and myself growing up an Aboriginal child in permanent care, I find myself in an odd spot. We are connected to local Aboriginal community and attend community events, in fact often help organise them. However, I do not know her stories and while she is a well-storied child, I do not know the stories of her Country. We know both sides of her birth families and share often. Still I know what it is like to grow up unclaimed, to not know the land where your spirit belongs and I would not wish that on anyone. My daughter is well claimed and loved and knows exactly where she belongs and who she ‘owns’ (she’s a little possessive). She will find her stories. I have worked in Aboriginal community for years and only recently moved to work in broader community. The parallels and differences are fascinating. There is nothing a new migrant, refugee or asylum seeker has experienced in their settlement journey that has not been experienced by an Aboriginal person in their own country. I firmly believe culture is a place where we can meet. Long long ago in the Dreaming, the Warrior spirits watched Biame’s creation and told Biame the calls of the Clever Men and Women. They saw that people and animals were not helping one another, there was no kindness or understanding of each other’s place in the world. When they reported this to Biame, he was furious. Before he did anything he resolved to come and see for himself. He changed himself into an old blind wombat and sat on the path of a billabong to wait. It was an hot summer day and the bush was still. The heat drew the scent of the eucalyptus that hung above Wombat’s head. Old blind Wombat was so hot he began to pant. Animals walked down the path to the billabong. Wombat placed himself in their way, and called out asking them to help him to the water. They hit Wombat and pushed him off the path and went on their way to the billabong. Old blind Wombat sat and the day grew hotter and hotter. He heard people coming and again placed himself in their way, calling out asking for help to the billabong to drink. They laughed and jabbed him with the blunt ends of their spears, joking about rolling him into a fire for a feed. Pushing him out of their way, they went on down to the billabong. The day got hotter. The air was parched with no hint of a breeze. The stillness was broken only by the low sound of the hover bees as they searched for nectar. The eucalyptus scent was stifling and the wombat desperately needed a drink of water. Along came Kangaroo, carrying her joey in her arms. Wombat again put himself in the way and called out. Kangaroo stopped and offered her tail to guide the wombat to the billabong. So they went, slowly down the path and when they got there, they both had a long long drink. Kangaroo’s ears flicked! She stretched up, balancing on her tail to look. Hunters coming with spears! Pushing Wombat behind a log to hide him, she leapt high for the hunters to see. They did. They shouted and ran around the billabong after her. Kangaroo took off running as fast as she could with the hunters not far behind. She looked over her shoulder and saw them gaining. She could not run fast enough with her baby in her arms. Quickly she hid him in the long grass and ran on again. Kangaroo ran until she was exhausted and the hunters were left far behind. She began to make her way back to her baby in the grasses. Kangaroo hunted everywhere but could not find her child. Distressed she made her way back to the billabong and told Wombat everything that had happen. Weeping, she fell into an exhausted sleep. Now that old blind wombat who was really Biame was so proud of Kangaroo that he took a strip of bark from the paperbark tree and placed it across her belly. Then he found her baby and tucked it into the new pouch. That is the end of the story. This tale is far from the bare bones story I first heard and it is pared down from the story I told in kinders and schools. There is no need for a moral, it is understood. I had permission to create it for modern ears as the Elder wanted the story shared and I was in a position to do so. And now, I have shared it with you. What is it with kids when their mum is sick that they take advantage? Just kids I hear you say? Is it? Is it not a sign of the ultimate in selfishness that when you are tired, in pain and unwell, they don’t even offer a cup of tea? I have to think to myself, have I been that unkind? No, I may not be big on sympathy, but I do a very nice line in empathy and have no qualms about tucking a child up in bed, heated toy cuddled tight. Make sure all medicines are taken and good rest is had. I even allow television on during the day when a child is ill. How generous is that? Do you think it’s just that the idea of mum being sick must be ignored until it goes away? Or is it that they just don’t care. At least my son came and made me some tea, when I asked. Daughter? Not on your life. It’s not like when they are are little and you battle on no matter how unwell you might be. They are old enough to get their own food and sort themselves out. There once was a girl. Lila was her name. She was a beautiful child, everyone said so and her mirror confirmed it. For all the years she had been alive, people commented often on her beauty and Lila knew they liked her because of how she looked. Her mother did her best to teach her that it was the Light within that shone. Sadly Lila did not listen at all, sure that the outer shell was all that mattered. Lila could be thoughtless and unkind to those who did not admire her as she thought fit. Lila liked best to dance in front of her mirror, to dress in front of it, to sit and brush her hair whilst gazing into her own eyes. Oh such lovely eyes (everyone said so), such glorious skin (even with the occasional blemish). such a wonderful mouth and smile. Lila stopped smiling at others to keep that pleasure for herself. She practised her ‘blank’ look in the mirror so when she used it on people, she could do it just right. She posed and she gazed and could hardly tear herself away. One day, her mother insisted on going outside for some fresh air, away from the mirror. They wandered to a garden and Lila spied a pond. While her mother walked one way, Lila dashed over to view. Ahh, there she was, how reassuring, just as lovely as ever. She gazed at the girl in the pond and the girl gazed back. Hmm, she could come out for fresh air often and see herself as much as she liked. Her mother would be pleased she was out and about and Lila would be pleased too. So, that is what she did. Of course you know what happened in the end. How the beautiful girl turned to stone (or beautiful boy to flower) and is gazing at herself even still. It’s end of the financial year report time, here in Australia. All over the country, community organisations are putting fingers to keyboards trying to compress into forms all the good work they do. I work with Communities for Children who are in the enviable position of brokering funds to the local area and working closely with community groups. The reports we ask our partners to complete are substantial, providing far more information that funding bodies request. We do our best to fit 3,000 words into 700, to share the amazing work community workers and volunteers are doing right across our Shire. Not to brag, but we have some outrageously committed and determined community workers and I don’t mind singing their praises. I have the equally enviable task of building capacity (current catch phrase) in community professions so they can best serve the families we all support. So good. As a storyteller, it is excruciating to hear all the amazing stories and not be able to share them. So for all the community professionals in Cardinia Shire and all the families we care so passionately about, this story is for you. After a war. Which one? Does it matter? After a war when soldiers released from trenches were drifting aimlessly across the landscape and people were starving from years of destruction that ravaged village and castle alike, two soldiers wandered into a village. The village was poor and poorer still for the taxes and pillaging of years of war, distrustful and with little to share. The soldiers walked from door to door, offering to work in exchange for somewhere to sleep and something to eat. Doors were not opened or were closed in their faces. Those few who listened, with exhausted courtesy, shook their heads sadly, sure they had nothing to offer. The gardens were so ravaged and the soil so trampled, that one family had a few potatoes, another some carrots. Each family guarded their lot with the fierceness desperation brings. No children ran through the streets, no talking or laughter was heard and the air was heavy with grief. Suddenly industrious, the soldiers trotted off in different directions, one returning with a lazy barrow of wood and the other with a pail of water. In the village centre they stirred the remains of old old fires, from when the village had something to celebrate. With great elaboration they built the fire and dug out their enormous pot that travelled in the trolley they pulled between them. “Hah-hah!,” cried the first soldier, in a carrying voice,” this will warm us up.” He poured the water in. When the water was bubbling, with great ceremony they took out from a velvet bag, secreted in their trolley, a grey stone. They placed it with many gleeful remarks, loud and echoing, smacking of lips and rubbing of bellies. By this time, every child had snuck from their home and were watching from corners and hiding spots. As children will, they sniffed the air and they could smell the delicious aromas coming from the pot! “Ahhh, shall I take just a taste, my friend? To check all is going well,” said the first soldier in a resonant voice. “Indeed,” said the second, agreeably. A ladle was produced and with much exclaiming and terrific amounts of slurping, the soup was tasted. A gasp was heard from behind them and then the scurrying of little feet. A child ran home and begged his family for their onions. The family was convinced and three scrawny onions were found. With heads held high, the family promenaded to the pot and presented their onions. Of course the family would be delighted and the men rushed home to bring tables and chairs and bowls. There followed some laughter and conversation until the next tasting. Another gasp and scurrying of feet. Another parade of proud parents and their potato. More laughter and conversation and tasting. And so it went until there were onions, potatoes, carrots, pumpkin, apples (for sweetness) and a veritable mish mash of greens and other vegetables plus considerable dollops of dripping. By this time the whole village was gathered in the centre, around the fire, with tables and chairs and bowls, laughter and conversation. It was a festival of good spirits and kindness shared. Eventually the soup was declared ready and all who tasted it declared it delicious. Finally will full bellies, warm from friendship, all returned home, including the soldiers in a comfortable barn and dreams were dreamt of better times ahead. The next morning, presented on a table in the centre of the village was the Soup Stone and under it a note. “Dear Villagers, thank you so much for sharing our Stone Soup with us. Without your wonderful contributions it would not have been the soup it was. We gift you all our special Soup Stone and wish you many happy evenings of sharing and laughter. What of the soldiers? Well they had got up before dawn, left stone and note and trundled onto the next village, picking up a nice grey stone on the way. We always need a bit of Stone Soup.